The Allied Gardens Library Book Club will read and discuss “The Hidden Life of Trees” by Peter Wohlleben. Many of our readers may already be familiar with San Diego Public Library’s vision to be the place for opportunity, discovery and inspiration. During the month of July, we would like to add that we are also the place to cool down during the balmy weeks of July. In fact, if you prefer your ambient temperature on the cooler side, you are welcome to relax in what the staff has come to call the “meat locker” — aka the reading lounge. We also have loads of programs for adults and kids to enjoy while getting a respite from the heat. On Saturday, July 14 at 2 p.m., attendees of buy now Handmade @ Your Library: Butterfly Terrarium will create a “mini garden” for the houseplant-challenged using dried flowers, preserved moss, rocks, shells and more. All supplies will be provided but feel free to bring your own figurines and found objects. Please register for this program by calling 619-533-3970 or by stopping at the circulation desk. 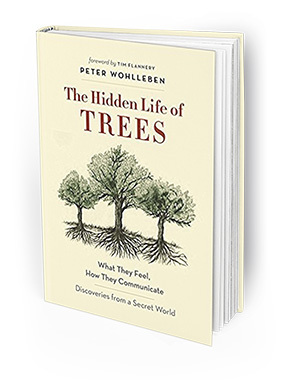 In August, our http://sanfordbiggers.com/bio buy now Book Club will be reading “The Hidden Life of Trees” by Peter Wohlleben. Please join us for a fun discussion of this powerful reminder to slow down and tune into the language of nature. The meeting will take place on Tuesday, Aug. 14 at 1 p.m. Copies of the book are available for check out at the circulation desk. Throughout the month of August, every Friday at 10 a.m. the library, in partnership with the Parks and Recreation department, will be presenting four, one-hour click here Kids to Canyons classes to help to connect youth to nature by encouraging exploration and the study of the world around us. Presented by local author of “Nature Adventures,” Linda Hawley! Ages 7-10. Limited space so sign up required! over the counter viagra July 16 – Bayou Brothers has a sound straight out of Louisiana’s dance clubs, bayou festivals and backyard crawfish boils. They will rock you right on into “Fat Tuesday” with their extensive experience and endless enthusiasm to deliver a rousing, rollicking, heart thumpin’, foot stompin’ musical gumbo y’all won’t soon forget!!! July 23 – Noteworthy Puppets presents “Kid Zorro: The Bilingual Puppet Musical.” This show takes you on a musical adventure to Spanish California and sets the origin of the popular masked outlaw against the backdrop of Dia de Los Muertos. In this original musical adventure, Zorro must save the Mission from a corrupt politician and his diabolical plan! July 30 – Living Coast Discovery Center presents “Totally Tidepools.” Life is tough in the tidepool! We will put on our claws, suction cups or feet to discover what amazing adaptations help tidepool animals survive and if we are lucky there might be a few animal friends from the tidepools joining us as well! Come help us celebrate Harry Potter’s Birthday on July 31, 3–5 p.m. We will be playing games, making wands, bookmarks, house ties, giving out some fun swag to take home and, of course, having cake. We encourage you to dress up and represent your favorite character or house! This event is suitable for ages 5-12 years old, but all Muggles are welcome! We look forward to seeing you there! — Kathryn Johnson is managing librarian of the Allied Gardens-Benjamin Branch Library. Reach her at johnsonka@sandiego.gov.